So after about ten years of having the same pair of straighteners, it's about time I upgraded and bought the latest version. When I've been using them recently they just don't straighten my hair as well as they used to. I must have been about thirteen when I bought them and remember saving all my pocket money to get them and going down to my local hair dressers to pick them up. Back then saving £100 of pocket money was a huge deal and seemed to take forever. When I finally bought them it was all about taming my frizzy mess and having poker straight hair instead. Fast forward a couple of years and I went back to leaving my hair to dry naturally but still straightened my side fringe. As most people have said, after about five years I noticed a difference in the temperature increasing and they're a lot hotter than when I first bought them. You can't touch the outside of the straighteners any more they're that hot. It also can't be good for my hair! The plates are scratched from my teenage self not looking after them too well and travelling all over the place with me. I chose the V Gold Classic Styler as despite it being a bit more expensive than the IV Styler, I liked that it came with protective plate guard which I hoped would make the plates last longer when travelling or in storage between uses. Overall I couldn't be happier with them as I can now curl my hair with the help of the curved edges, I couldn't really curl properly with the old design. With my hair being very long at the moment, curling it with a wand takes forever but with straighteners, I can curl it in about half the time. I can also experiment with different techniques of curling my hair with them and adding waves. I did think about getting the Cloud Nine Straighteners which are meant to be the same quality as ghd but decided to stick with what I know. If these new straighteners last another ten years then I'm happy. Which straighteners do you have? 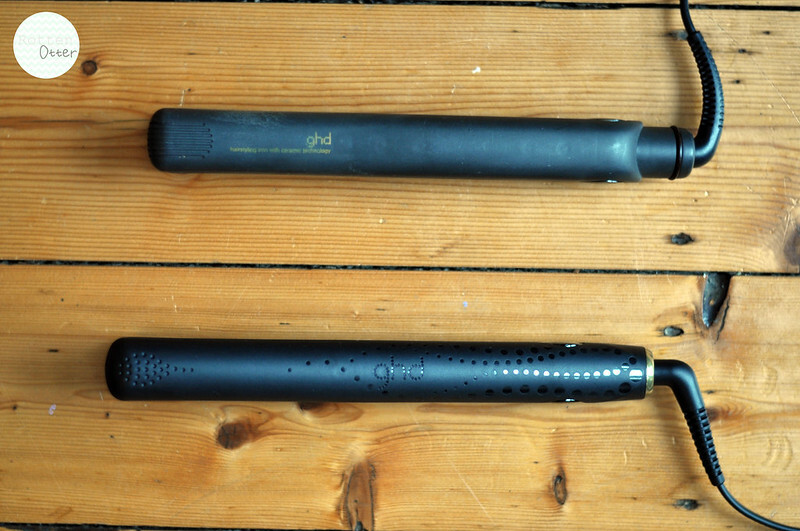 I have GHDs... couldn't imagine life without them! I've had mine for 4 years but I'm always so jealous of people with brand new ones or the coloured ones! I reckon I might see what Santa will bring this year!